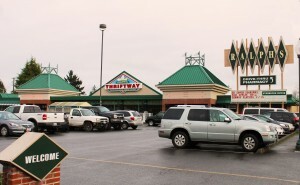 Bayview Thriftway has an award-winning Delicatessen and dining area with breath-taking views of Budd Bay. You’ll find local many local and speciality items like organic, gluten-free & more. Be sure to visit our Bartdorf & Bronson coffee shop. Open 6AM – 11PM daily. We offer the finest in catering and specialty foods. Serving the South Sound since 1982, we have catered thousands of weddings, luncheons, holiday parties, legislative and corporate events. 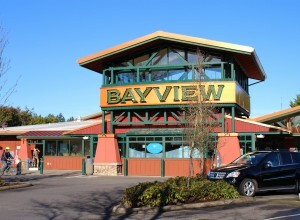 Bayview Catering provides a truly memorable experience for any wedding, business or social event. We offer an array of culinary classes taught by a team of talented instructors, regional chefs, cookbook authors and restaurateurs. A variety of styles are covered including Indian, French, Italian, Asian and fresh flavors from our own Pacific Northwestern backyard. Most classes are demonstration-style with a focus on how to prepare an entire menu during the class session. We are South Sound’s premier event and party rental store. Whether you’re planning a dinner party for two, a business function for 300 or a community event for thousands – we carry a wide selection of everything that you need to make your event memorable. From rental tables & chairs to tents and wedding decor – we have you covered!